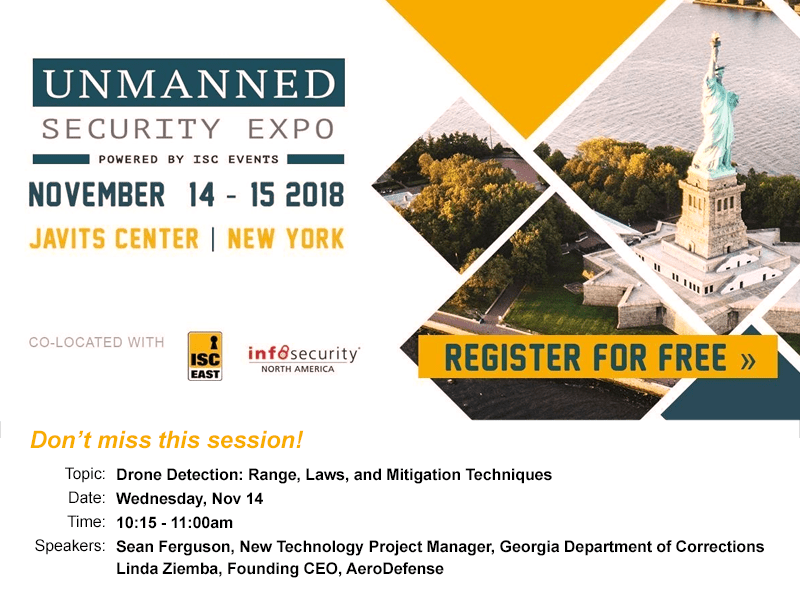 Georgia Department of Corrections representative, Sean Ferguson, will join AeroDefense CEO, Linda Ziemba, for a presentation on Drone Detection: Range, Laws, and Mitigation Techniques, on Wednesday November 14 at 10:15am. If you’ll be at the Unmanned Security Expo, stop by to hear a first hand real-world customer experience, as featured on HBO’s VICE News Tonight. ← AeroDefense CEO a panelist: Can We Stop Robots From Taking Our Jobs?